Gira, supplier of intelligent system solutions for building management, is pleased to launch its dynamic Gira Studio Design Line: 1 collection with 3 installation variants! The new Gira Studio Design Line is defined by its new characteristics that interplay between function and design. 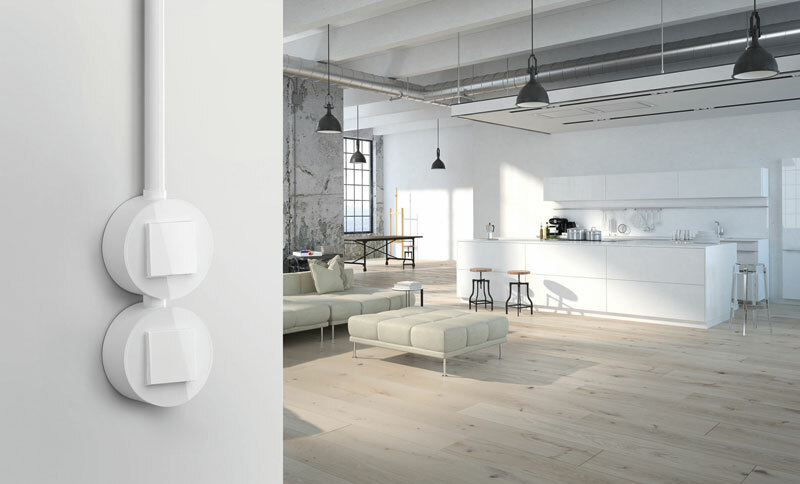 A true expression of leading-edge design where a square becomes a circle, the new Gira Studio Design Line will awaken the static nature of a bare wall to elevate a space to new degrees of form and function. Available in Black and White Glass, Gira Studio provides you with the opportunity to emphasise its design through colour and create a uniform or contrasting aesthetic. For instance, opt for a one-colour solution where both the round frame and square switch are in the same finish, or create a two-tone effect with white on black or black on white: you decide! 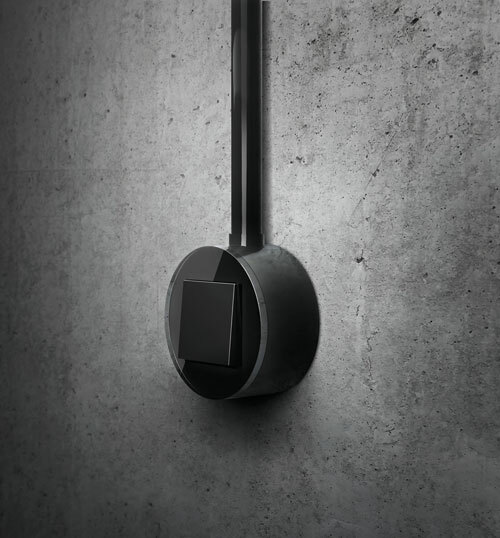 Gira Studio with new Black or White colour application is available in three installation variants: 1-gang Flush Mounted, 1-3 gang Flush Mounted and also Surface Mounted. For the ‘modernists’, Gira recommend Studio Flush Mounted: a contemporary design with sleek, ultramodern attributes that is accentuated through the lustrous glass cover frame. In contrast, Gira recommend its new Studio Surface Mounted for the avid ‘traditionalist’ as the period-style design takes it inspiration from the historically round dome light switches so popular in the early 20th century. Mark Booth, Managing Director at Gira UK Ltd, comments “Our aim is to continue designing and manufacturing intelligent build solutions which answer current trends. The introduction of Gira Studio answers the industry’s growing desire for eclectic interior schemes where period style design is modernised through cutting-edge technology. Offering more than 300 functions, Gira Studio is designed to complement the Gira System 55 range where each frame in the collection displays precise workmanship and surface processing. This enables premium specifiers like interior designers, architects and property developers the ability to equip buildings with the latest technology, all with a consistent design aesthetic and distinction between the varying systems, controls and functions identified. Yielding even more design options for the end user as well as promote ergonomic operation, Gira Studio can raise and lower blinds each day with the standard blind control button, offer a contactless switch with integrated LED orientation that illuminates when motion is detected, plus a comprehensive range of complementary sockets, outlets and accessories.